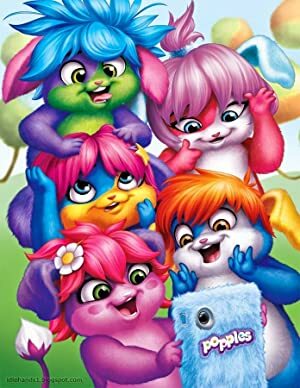 Popples – Season 2 (2015) – What's New on Netflix Canada Today! Popples is an animated high-energy children’s comedy series about an amazing species of creatures that can pop into and out of a ball. The story is driven by the optimistic comedic enthusiasm of the BPP’s (Best Popple Pals): Bubbles, Sunny, Lulu, Izzy and Yikes. Always wanting to help their friends, neighbors and each other, their efforts often times backfire in hilarious ways and they must spend the rest of the episode trying to unwind the mayhem they’ve caused. Luckily they always manage to save the day in their own POP-tastic way.